The mind-bender debuts on Digital HD February 21. For a physical copy, you need to wait it out until March 7, then you can pick up the movie on Blu-ray, DVD and On Demand. 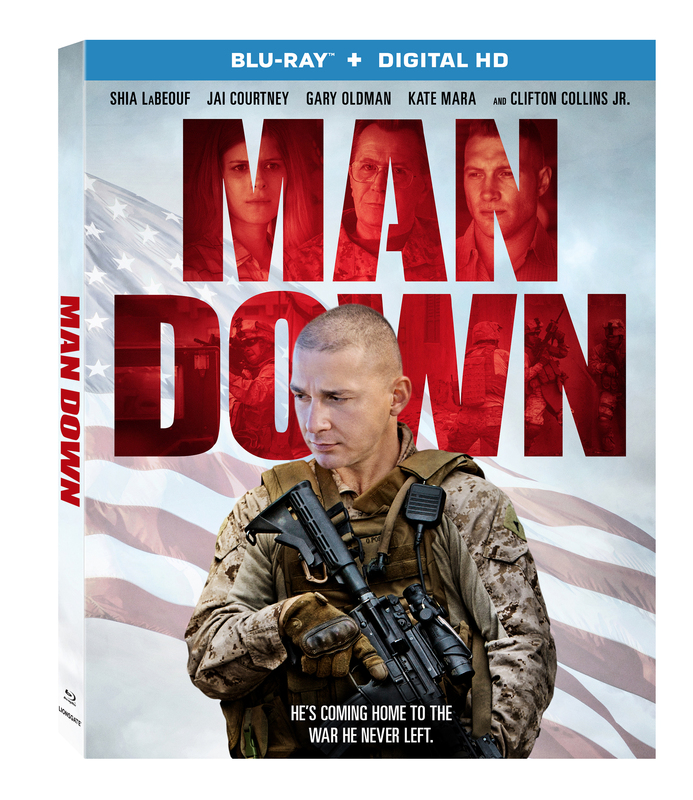 When U.S. Marine Gabriel Drummer (LaBeouf) returns home from his tour in Afghanistan, he finds that the place he once called home is no better than the battlefields he fought on overseas. Accompanied by his best friend Devin Roberts (Courtney), a hard-nosed Marine whose natural instinct is to shoot first and ask questions later, he searches desperately for the location of his estranged son, Johnathan (Charlie Shotwell), and wife Natalie (Mara). In their search, the two intercept Charles (Clifton Collins Jr.), a man carrying vital information about the whereabouts of Gabriel’s family. As we revisit the past, we are guided in unraveling the puzzle of Gabriel’s experience and what will eventually lead us to finding his family. This entry was posted on Wednesday, January 18th, 2017 at 6:07 pm	and is filed under Film, News. You can follow any responses to this entry through the RSS 2.0 feed. You can skip to the end and leave a response. Pinging is currently not allowed. « Woody Harrelson is ‘Wilson’!